In some areas of the planet, especially in emerging countries where economic growth is associated with a high environmental cost, an activity as usual as going out can be very dangerous for health. The people of Bangalore, the fifth most populous city in India with a population of almost 6 million people, live next to one of the most polluted lakes in the world. This is the Bellandur Lake and its waters are full of highly harmful products that wipe out any type of animal life in the ecosystem. The levels of ammonia and phosphate are scandalously high. Neighbors closest to the lake have to cross roads wrapped in a cloud of toxic foam on days of heavy rain. The wind carries this polluting foam all around, raising an unbearable smell. Although it seems to be taken from an apocalyptic film, the foamy surface of the lake comes to burn when its waters are mixed with high levels of oils, fats, and detergents, releasing very toxic gases into the atmosphere. Given this scenario, the fact that thousands of liters of wastewater are poured into the lake every day seems a trifle. Lake Bellandur is the largest Bangalore, city known as the Silicon Valley of India. Unregulated amount of wastewater, industrial and biomedical industry, treated and untreated are being pumped in to the lake, that are produced in the city. To the problem of the dumping of waste of all kinds is added the alteration of storm water drainages and the disappearance of the channels. 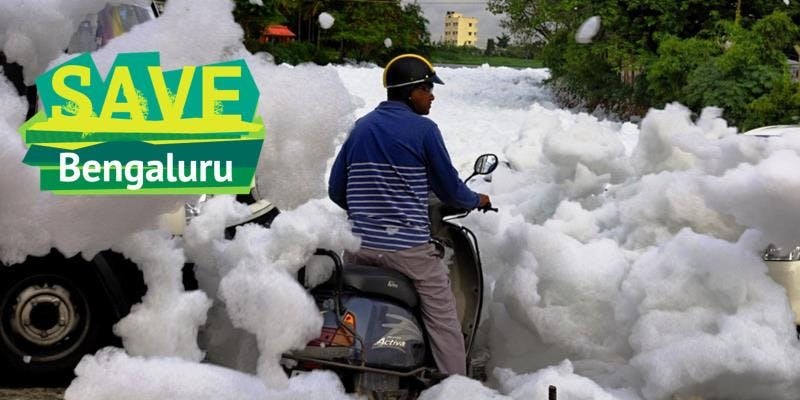 The rains of recent weeks that have hit south India have overflowed two polluted lakes and the toxic foam that covers them has spread through the city of Bangalore from southwest. In this way, the inhabitants have been locked up and the traffic has been interrupted since the substance has flooded the streets. According to the reports published, ‘walls’ of a white toxic high foam as buildings have reached the city, having overcome the defenses made especially to avoid this situation. These have not managed to prevent the river from advancing. 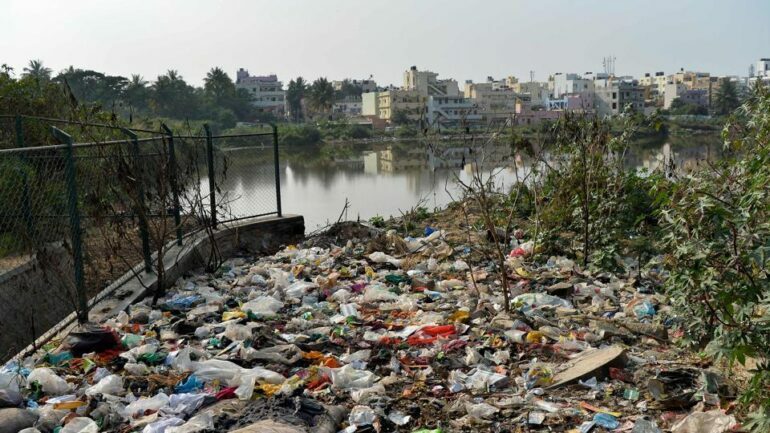 The overflow lakes are the Varthur and the Bellandur, whose level of pollution is extremely high with all kinds of chemical waste, including ammonia and phosphate, which it also causes a nauseating smell. The overflow of toxic foam has been caused by the rains that hit the region. However, this is not the first time that the city is going through a crisis due to the pollution of the lakes. For example, in October 2015, the layer of foam that filled the streets exceeded one meter in height. Residents of the areas surrounding the lake have had to get used to the invasion of toxic foam and the stench of water from the lake. Some claim that the foam is so toxic that it injures the skin and discolors the paint on cars. Neighbors struggle to get the authorities to face the problem with the determination it demands, although they are skeptical of a government that, like in many other countries, seems to be more concerned about economic development at any cost.